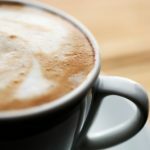 A study conducted by Yale University School of Medicine examined a possible correlation between coffee intake and an increased risk of infertility in approximately 1900 women (Yale University School of Medicine, Epidemiological Reviews Vol. 14, pg. 83, 1992). This study found that women drinking 1 cup of coffee per day had a 55% higher risk of infertility. This was increased to 100% at 1.5-3 cups per day, and 176% at more than 3 cups per day. Another European study showed very similar results. Although more research is needed, beginning studies show a link between coffee consumption in men and delayed conception rates. 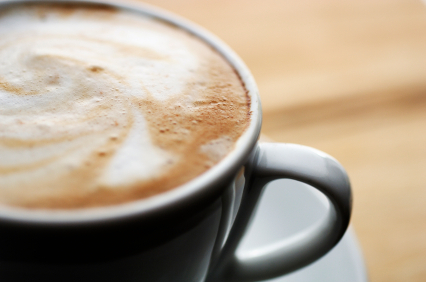 According to a Danish study 3 or more cups of coffee per day doubled the rate of miscarriage. (American Journal of Epidemiology, Vol 160, No 7, 2004, 661-67). A large study conducted at Kaiser Permanente San Francisco showed that caffeine intake of 200 mg or more per day (2 cups of coffee) doubled the risk of miscarriage. Many studies have linked coffee intake during pregnancy with reduced fetal growth and birth weight in infants. Now you may ask, what about decaf? Good question! Looking at various studies it does not seem to be the caffeine that causes a reduction in fertility. A study done at Kaiser Permanente showed for example that women who drank at least half a cup of regular green tea (containing caffeine) per day had twice the conception rate of women who did not. At the same time another study found that drinking three cups of decaf coffee increases the rate of spontaneous abortion. Because stress has a big impact on a woman’s ability to conceive/carry out a healthy pregnancy and coffee triggers a stress response in the body I would decide against it, even decaf. My motto is to stay on the safe side.